Never resting on yesterday’s achievements, a commitment to the highest standards drives us to innovate at the forefront of our industry. Once a crop is harvested, growers must place their confidence in a partner to protect their best interest and maximize returns. We understand the most critical decision a grower makes is where to take produce for storage, packing and selling in the fresh market. As a packer and broker, we know the challenges growers face in order to maximize returns. 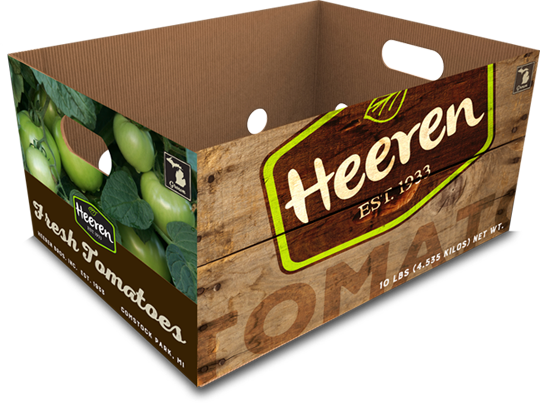 That’s why Heeren has perfected a harvest program that capitalizes on annual production. Growers place their trust in us to provide knowledge about what the market will bear and when produce will sell. These key insights are paramount to significantly reducing the financial ambiguity for our growers. Storage and packing solutions that provide the best recovery from each crop. Timely payment of grower returns. A quality control program to provide insight on areas to improve yield in future years. Continuous communication/transparency throughout the harvest year. Informative reporting for growers to make better decisions in their own operations.